Longevity. Trust. Innovation. These are all attributes you're looking for when deciding on a franchise. And they're all found in Interstate All Battery Center. As part of a 60-year brand, we provide Outrageously Dependable service to both business-to-commercial and business-to-business clients alike. 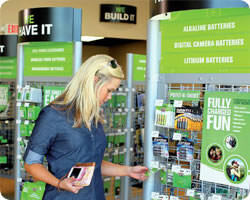 The average consumer has 21 battery-operated devices at home. And, with each technology-driven device that hits the marketplace, the need multiplies for serious portable power. 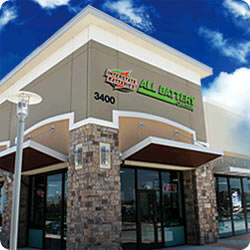 Whether it's a battery for a cellphone, laptop or a home security system, or a battery for a vehicle with multiple power drains, Interstate All Battery Center is Powering the Things That Make Life Better®. Support services – marketing, training, supply chain, real estate, etc. "We have a name that stands for quality and assurance. That's one of the huge things that makes us different from the rest of the franchise world." Dennis McDaniel, IABC Indianapolis, Ind. "I really wanted to find a brand that I thought had a long strategic value to customers. Interstate is a great fit." ²The average sales total of $1,137,416 represents operating results for our 30 franchised full centers open 24+ months. Of the 30 centers, 16 centers or 54% achieved gross sales exceeding the average. See our Franchise Disclosure Document for details.